Kevin Rehac has written a truly remarkable play in A Much Better Life. The situation and characters seem very real. The family drama, the small town atmosphere, the problems to overcome, the desires and imperfections are absolutely genuine. Kevin Rehac wrote one of the best plays I have had the pleasure of reading in several years. A Much Better Life is clearly on its way to being produced all over the country. And from the Committee's guest dramaturg, Arthur Giron: Every second of this work is filled with authentic feeling and wisdom. It is a masterpiece. Kevin Rehac's journey in the theater began as an actor. He then enjoyed a very successful career as a Broadway publicist before becoming a produced playwright. 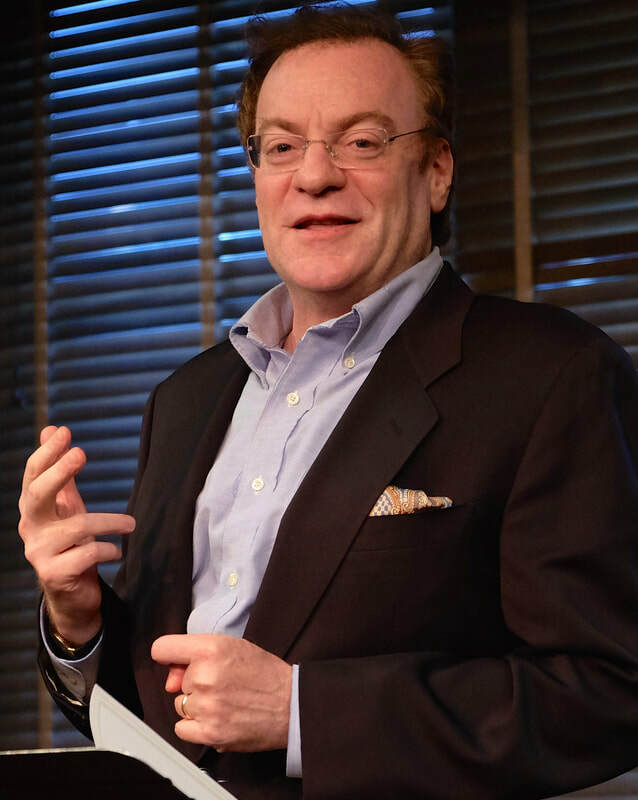 At this year's Jerry Kaufman Awards, the first prize for excellence in playwriting goes to Kevin Rehac's moving and compelling play, A Much Better Life. Kevin’s voice is fearlessly authentic, yet his writing employs a heightened, fable-like quality: an overflowing creek creates mythic resonance in this powerful story about mothers and sons and a man seeking his life’s purpose. Glenn Alterman offers multi-dimensional characters in fascinating situations. Glenn's works will grab your attention, please your senses, and delight your soul. He has a knack for telling a story in very subtle ways; his plays unfold in an organic, natural manner. And from Arthur Giron: A very promising playwright, who, in the tradition of Tennessee Williams and William Inge, has the ability to reveal great truths in a deep, quiet voice. Glenn Alterman is an enormously prolific playwright, whose work has been published and produced widely. He is very highly regarded for his several books of original monologues, which are marvelous mini-plays of great impact for the auditioning or self-producing actor. At this year's Kaufman awards, we honor his series of short plays under the collective title, Such Secrets. These are character-driven pieces featuring unusual yet believable events and each contain secrets that engage and surprise us: Two apparently homeless strangers meet at a bus stop to the future in Benchmark. An elderly couple disputes disturbing events that occurred years before at a Summer Bungalow Colony in Rosemonts. In the warmly moving Ditmas, former classmates (one of whom is now transgender) accidentally meet years later. Marc Castle’s humane perspective unearths distinct humor in what might otherwise be a sad situation. Fabulously inventive and entertaining. A superior effort, full of laughs. Eminently act-able. An actor is awarded with great dialogue of a perfect rhythm that expertly delivers the desired laughs, sighs, and gasps. Marc Castle has a real talent for exploring the wide range of human emotions: Final Answer was very dark and funny while Triple Play was almost Pinteresque. All eight one acts could and should be produced. And from Arthur Giron: Marc has a blazing, theatrical energy. A highly imaginative dramatist. Marc Castle, a noted director and fine actor, has been working in the theater since the age of 10. An award winning writer of lyrics and librettos, his plays have been produced at Ensemble Studio theater, La Mama and the June Havoc. At this year's Kaufman awards we honor his Mister Company and Other Inventions. Presented at the ceremony, the wonderfully nasty and hilarious Unfinished Business , is one of eight in the collective. ​The title piece, Mr. Company , is about a lifelike robot companion for sale; available with optional attachments. Both the salesperson and customer are taken with the floor model who pleads for help when the salesperson exits. Marc Castle, Glenn Alterman, Carol Goldberg, Kevin Rehac and noted dramatist, Arthur Giron. ​wonderful stories about his Uncle Jerry.